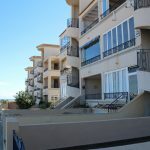 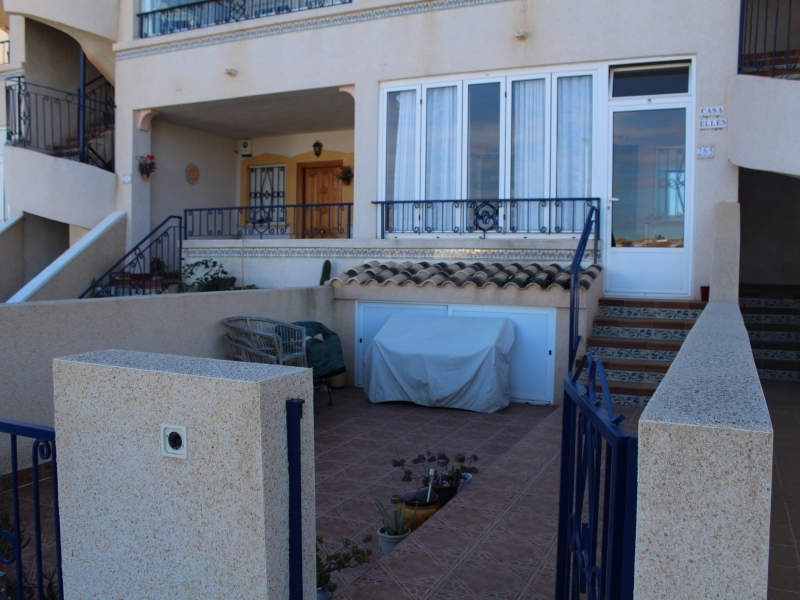 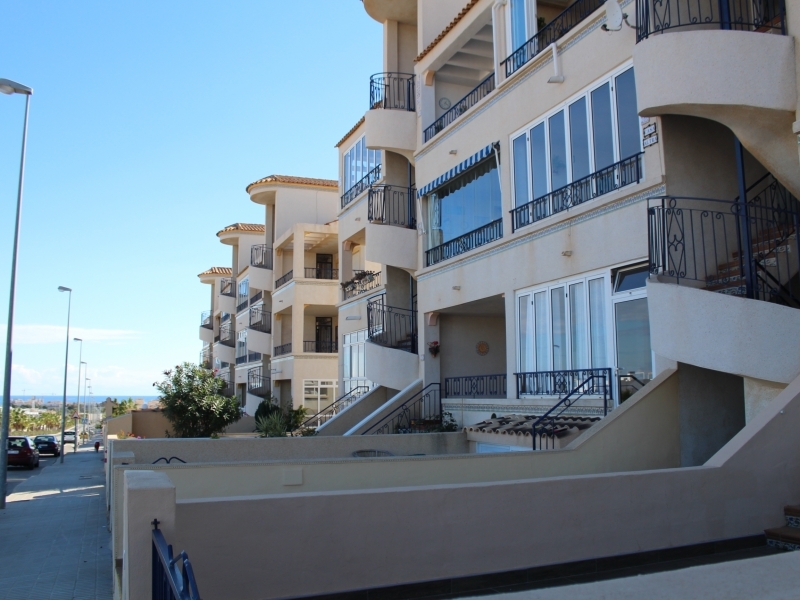 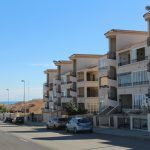 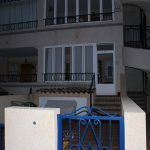 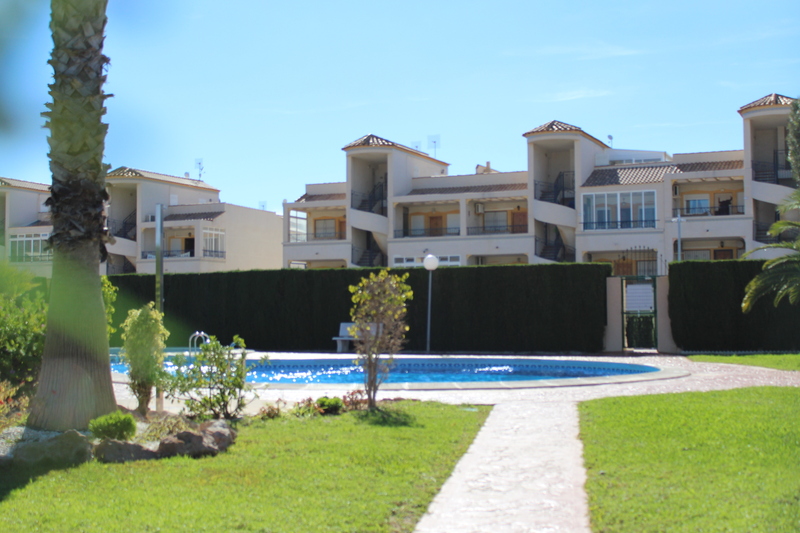 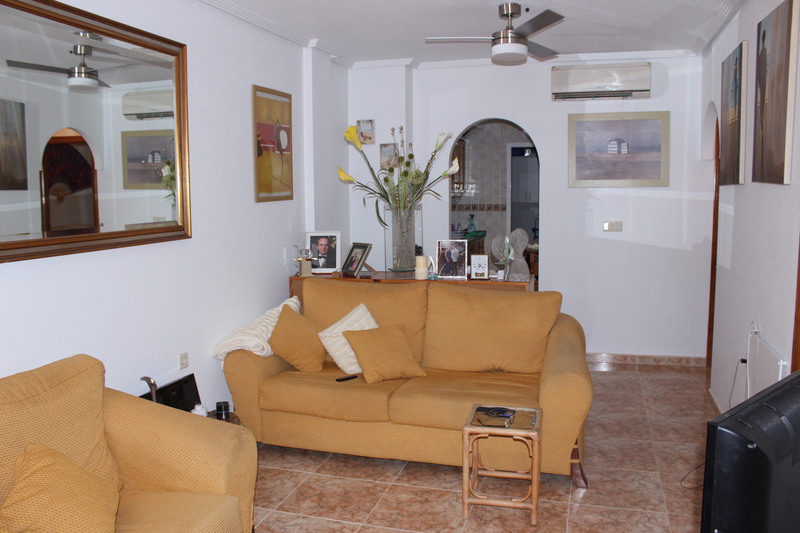 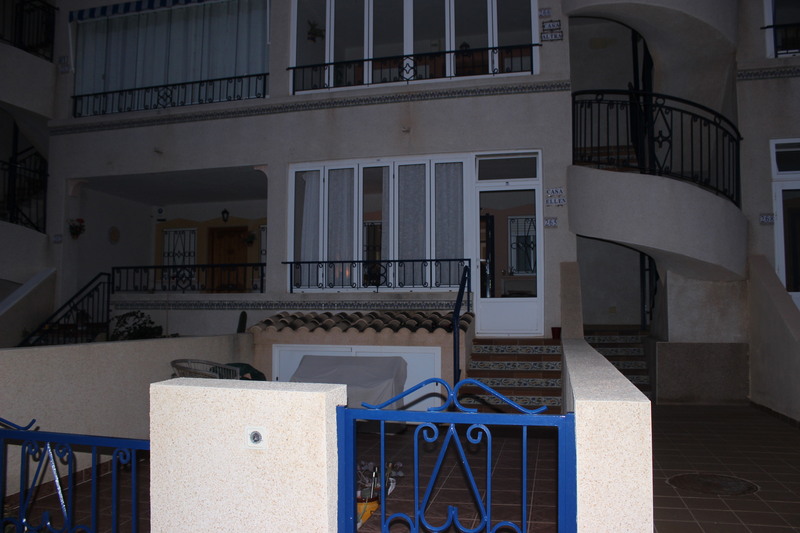 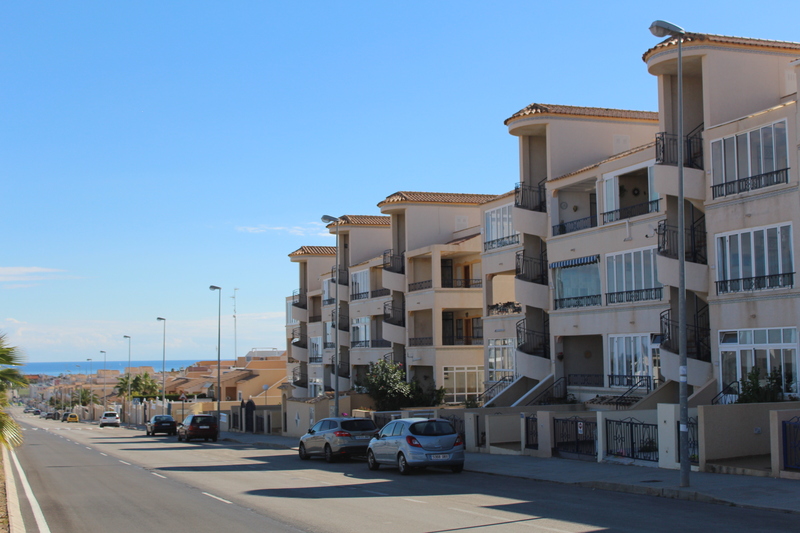 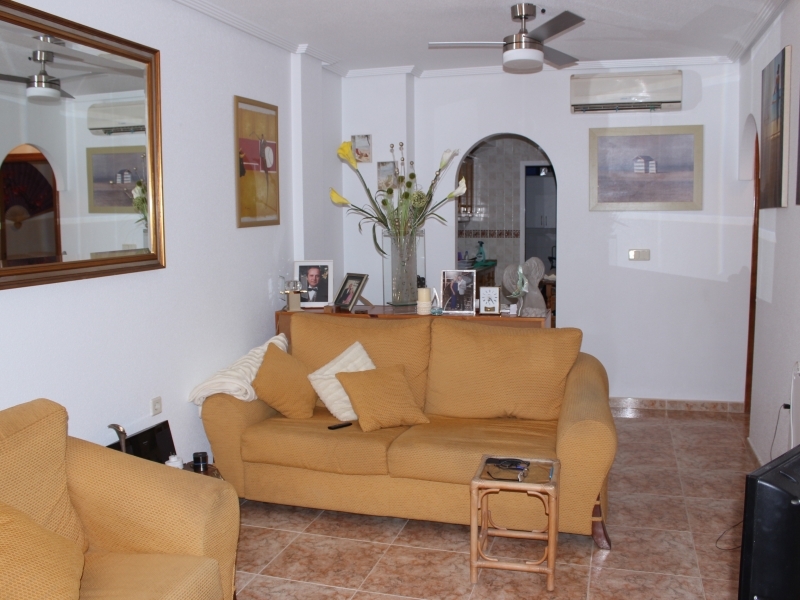 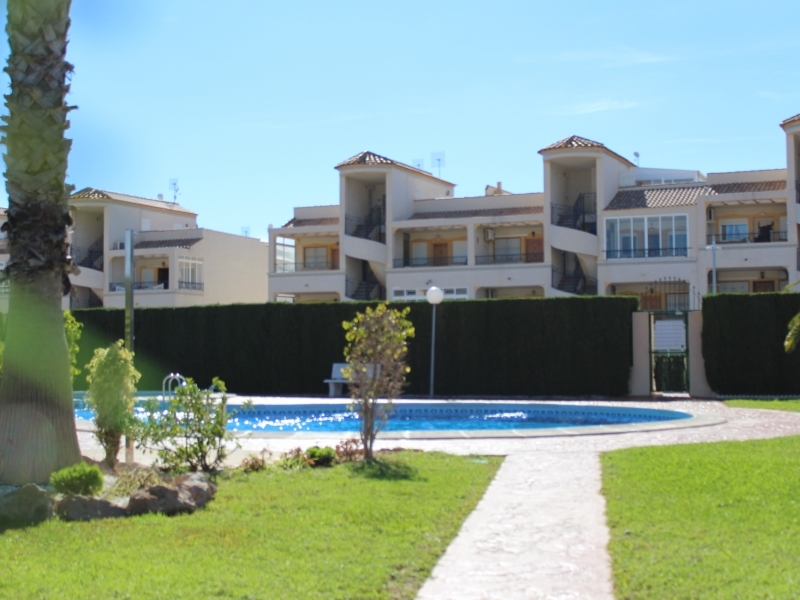 This lovely two bedroom, one bathroom ground floor apartment is located in Punta Prima on the Orihuela-Costa. 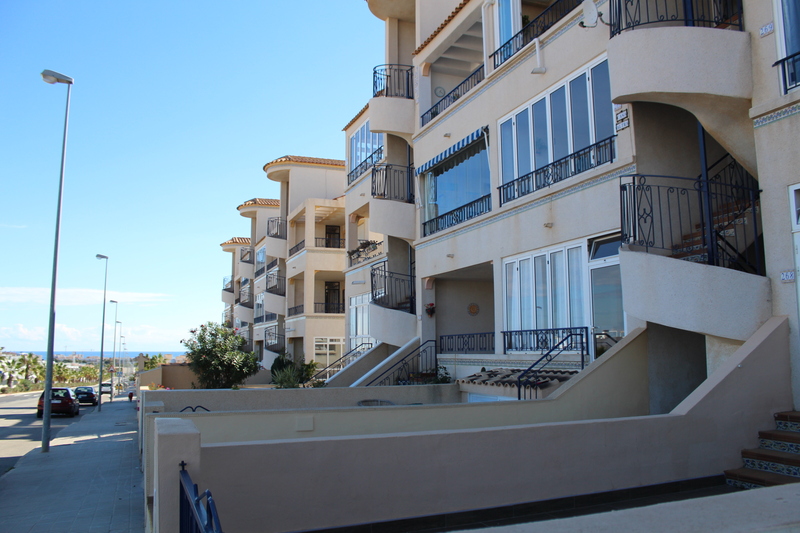 It is just a short ten minute walk to beautiful award-winning Blue Flag sandy beaches. 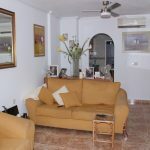 The property has a total living area of around 80m2 with an enclosed conservatory and outside garden / off-road parking area. 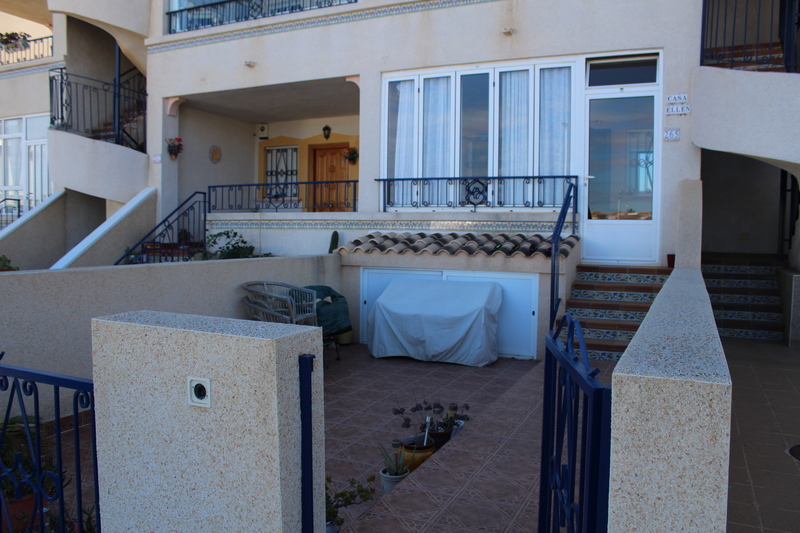 There are lovely sea views from the road. 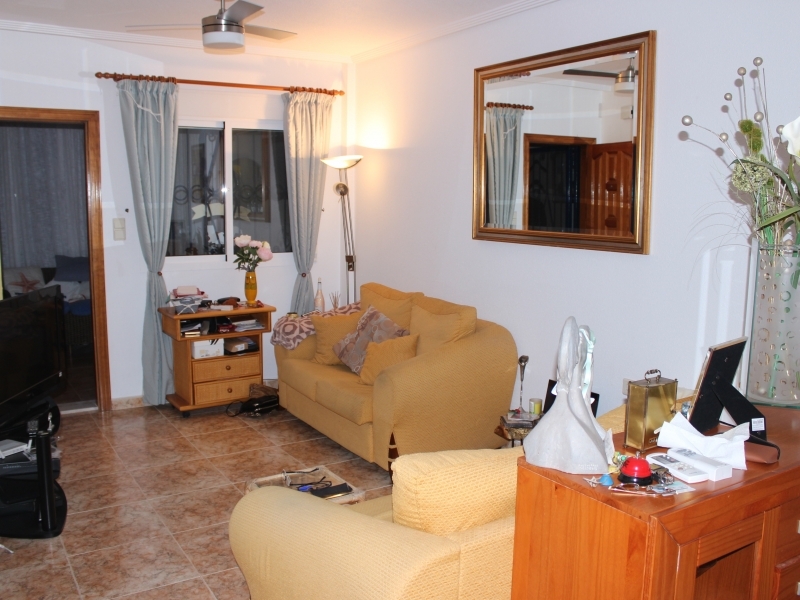 Pass through the glazed conservatory to enter the main living area. 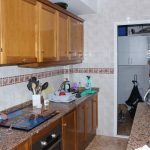 From the main living area there is an open-plan kitchen which leads to a utility area, two double bedrooms, and a bathroom. 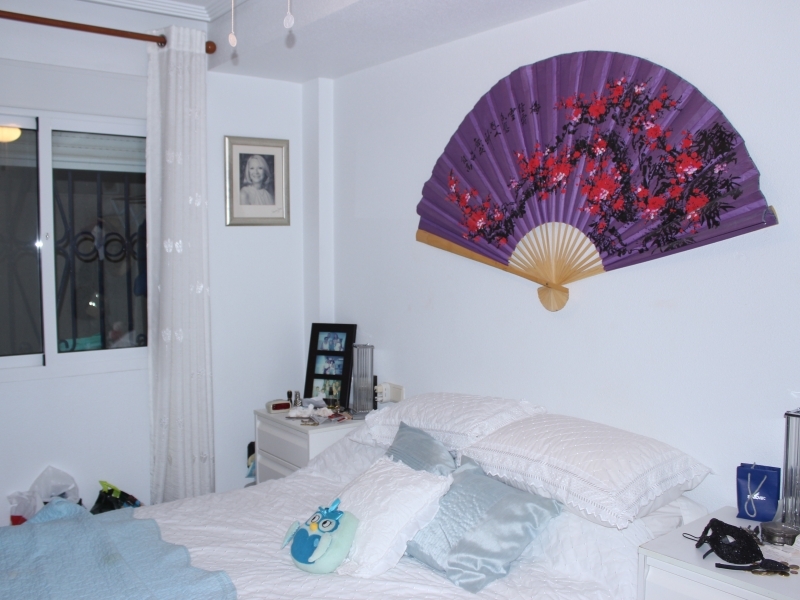 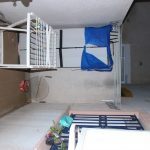 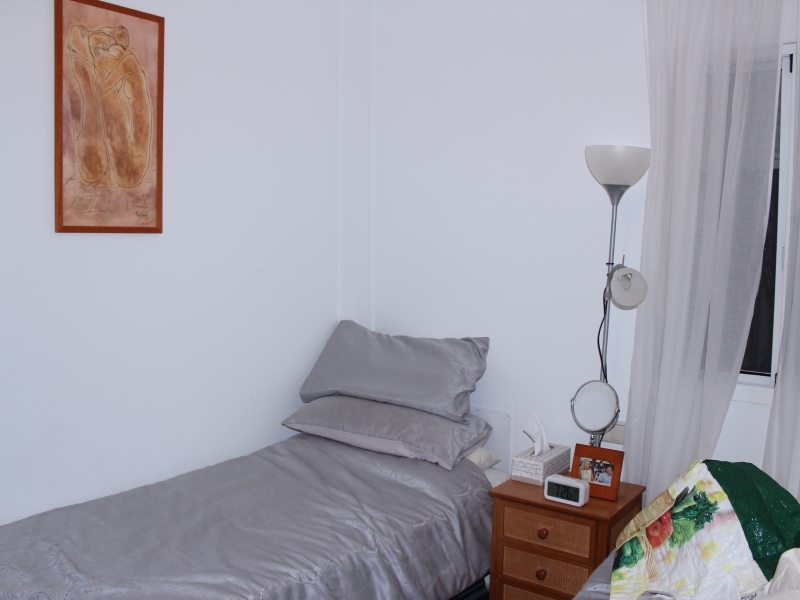 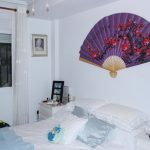 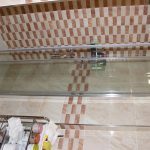 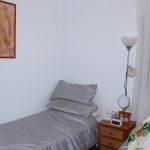 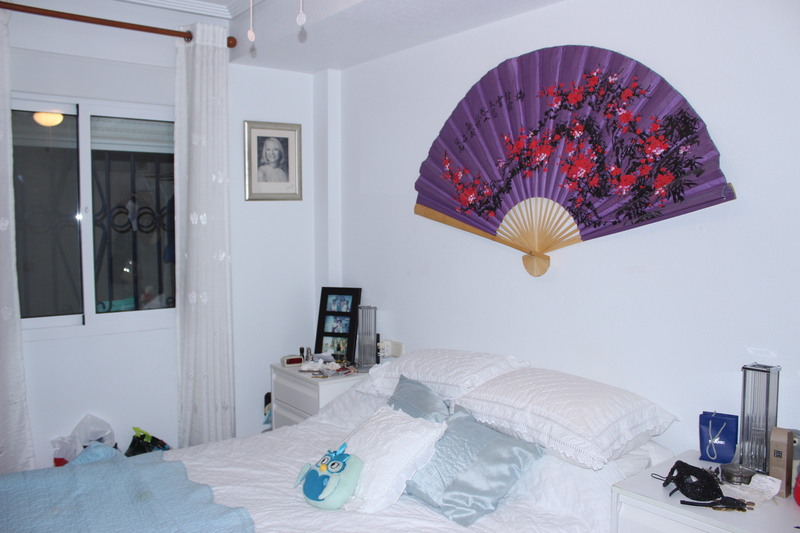 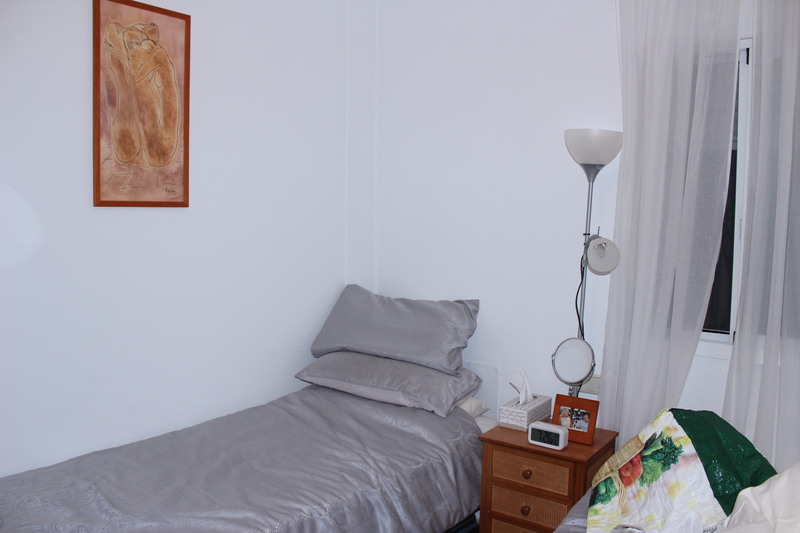 Both bedrooms have fitted wardrobes and there are ceiling fans and air-conditioning in the rooms. 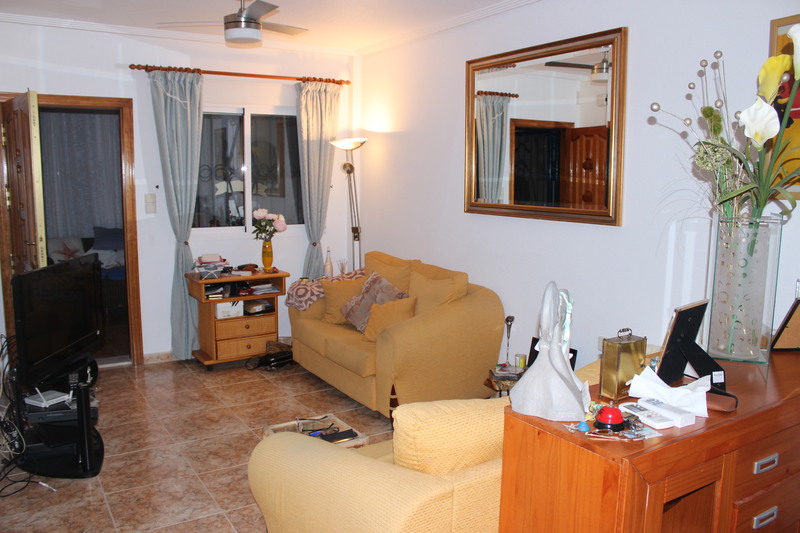 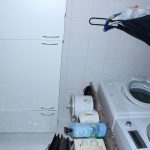 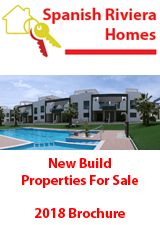 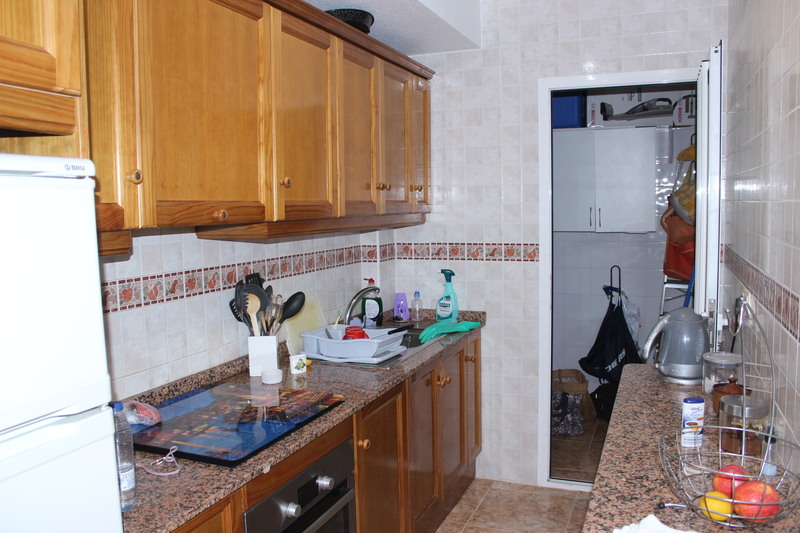 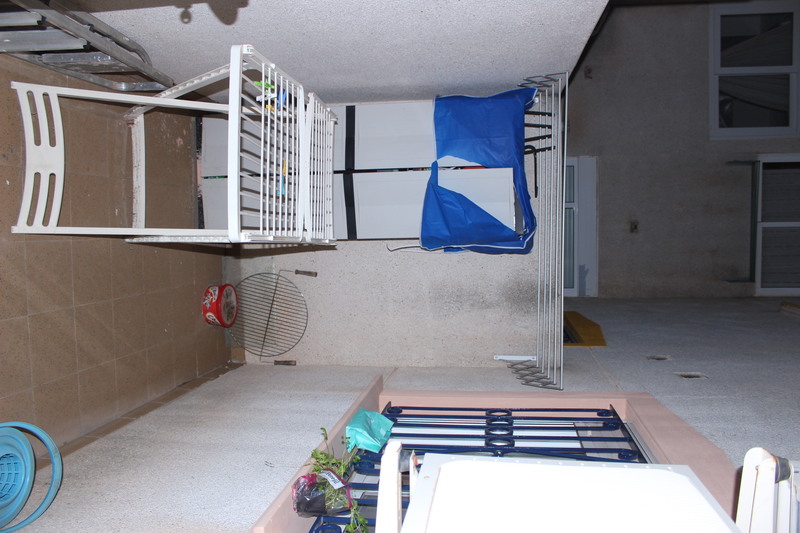 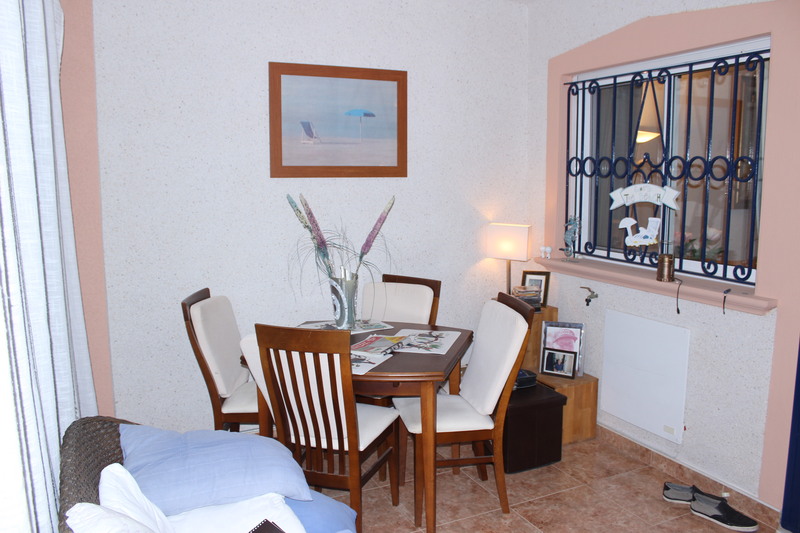 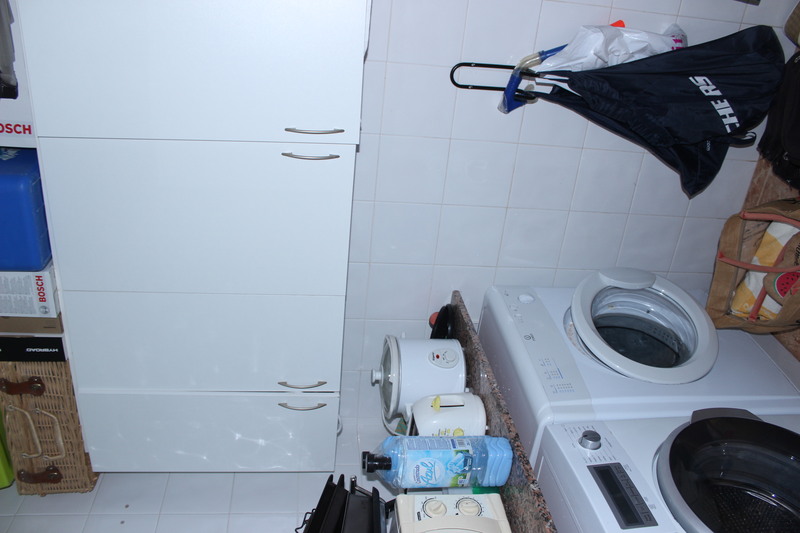 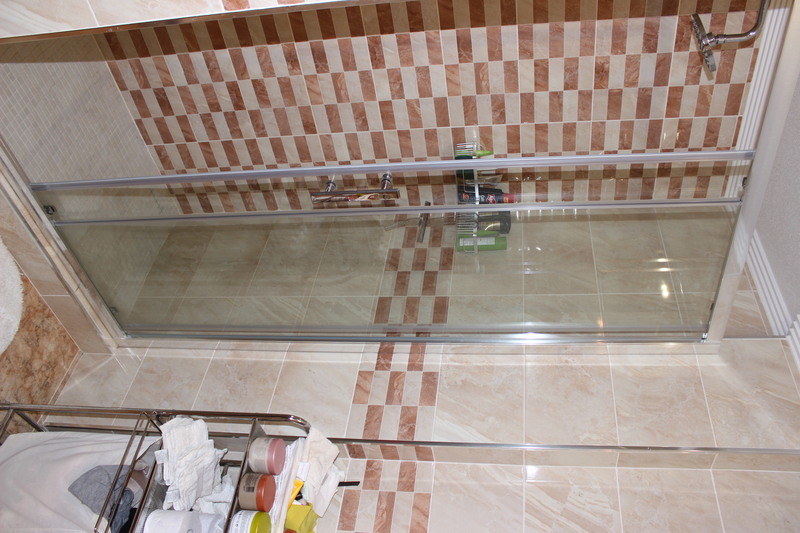 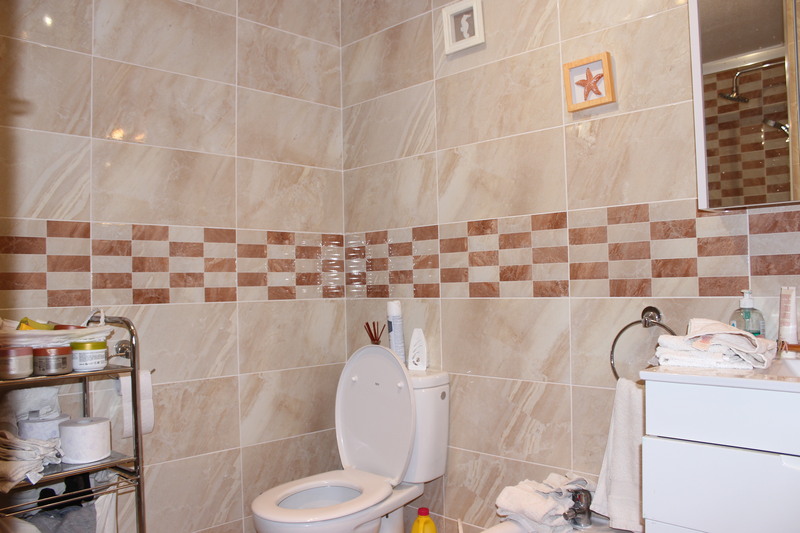 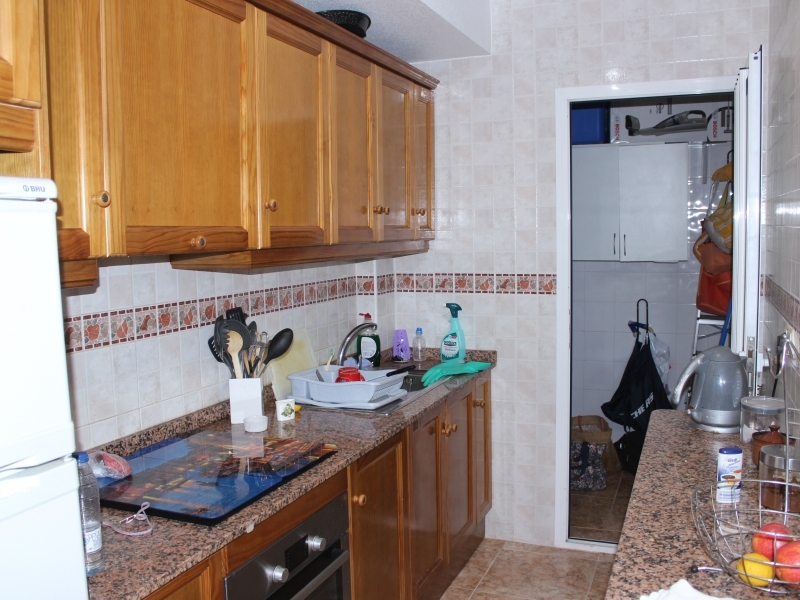 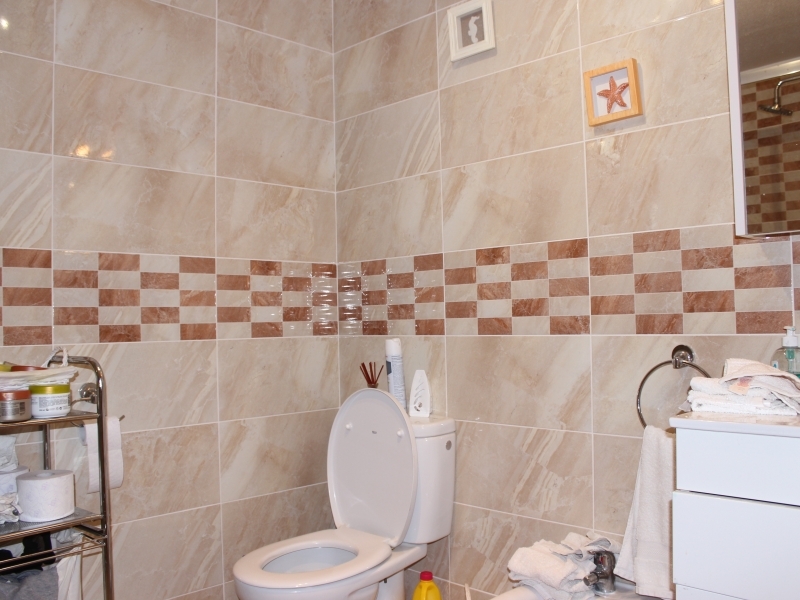 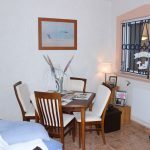 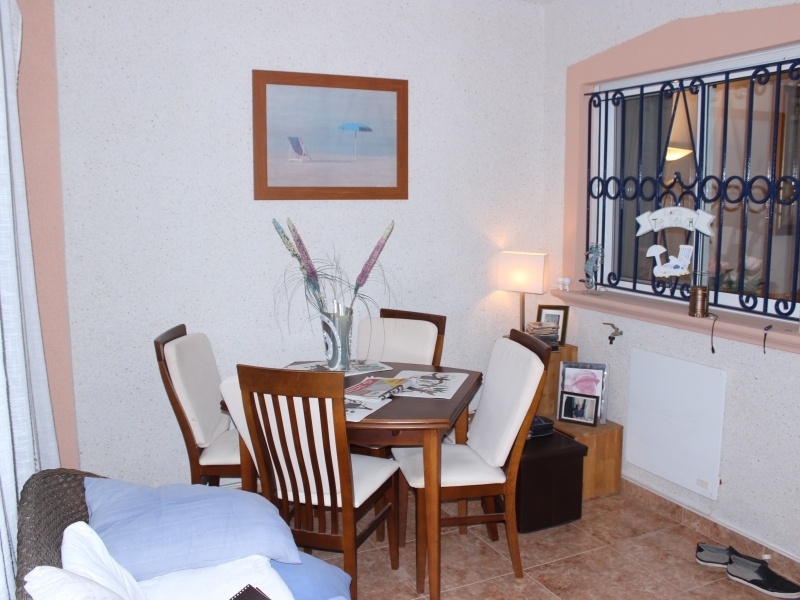 The property is on a well-maintained urbanisation and has access to a nice communal swimming pool.